Millions of elderly Americans live in nursing homes, skilled nursing facilities, assisted living communities and other care arrangements, where they are essentially hidden from public view and must rely on the facility’s staff for all their daily needs. 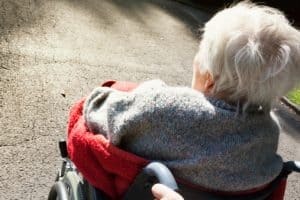 While most nursing homes are clean and adequately staffed, and the residents are cared for properly, some elderly people are being abused and neglected by the people who are being paid to care for them. According to a story in AZCentral.com, nearly 14,000 vulnerable and elderly adults were victims of fraud and abuse in Arizona in 2015, which was a 19% increase over the previous year. Of those cases, about 3,661 cases involved physical abuse and 9,408 cases involved neglect. The National Council on Aging (NCOA) estimates that about 1 in 10 Americans aged 60 and older have experienced some form of elder abuse. The challenge with getting accurate numbers about elder abuse is that it is woefully underreported. The office of the Arizona Attorney General has information about elder abuse and what happens when you report it. Many nursing homes receive federal funding, which helps them stay in business. Elderly residents who reside in nursing facilities are protected under federal law from abuse and neglect, no matter who is in charge of the facility. If a nursing home is found to be abusing and neglecting residents they can lose federal funding and in some cases, face civil or criminal charges. If you are visiting a loved one in a nursing home (and you should visit as often as possible), and you see any of these things going on, do not hesitate to investigate, ask questions and report what you see to the nursing home administrator. You may also report what you have seen to Arizona Adult Protective Services (APS) You can report an incident anonymously during normal business hours (877) 767-2385, or you can complete the form on the Arizona Department of Economic Security’s website. Arizona law mandates that professionals who are responsible for the care of an incapacitated or vulnerable adult report abuse, neglect or exploitation if they believe that it has occurred.